Romanic was built by Harland & Wolff, Belfast, as Dominion Line's New England. Launched in 1898, she made her maiden voyage 30 June 1898, Liverpool-Boston. J.P. Morgan's International Mercantile Marine acquired both Dominion and White Star in 1902, and in 1903 Dominion's Boston service was transferred to White Star. New England went to White Star too, and was renamed Romanic. 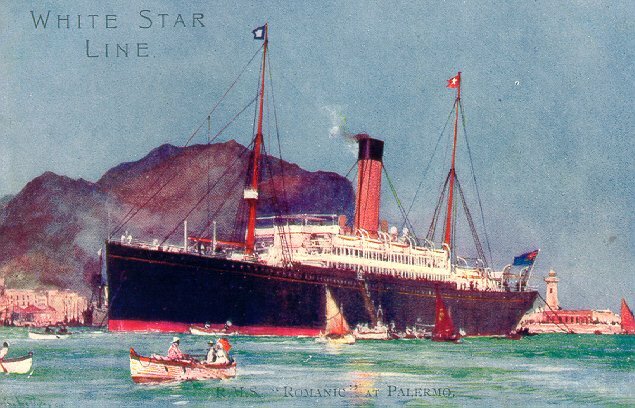 Romanic instituted White Star's Boston service, sailing from Liverpool to Boston on 19 November 1903 and departing from the Hoosac Tunnel Docks for the Azores, Gibraltar and Italy on 5 December. She remained on the Boston-Mediterranean service for her entire White Star career, which lasted until November 1911. 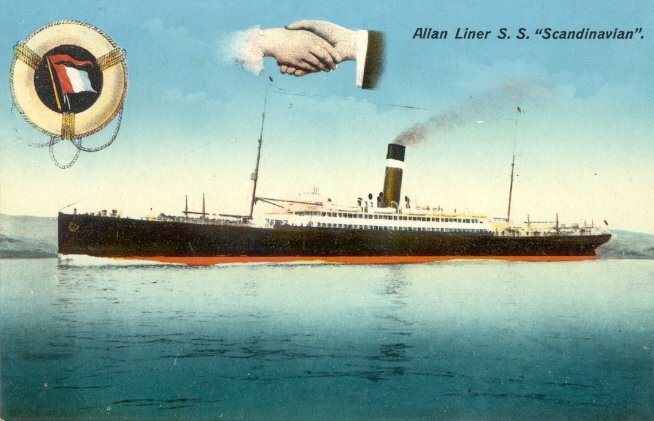 She was then sold to Allan Line and renamed Scandinavian. She became Canadian Pacific's Scandinavian after Canadian Pacific absorbed Allan in 1917. 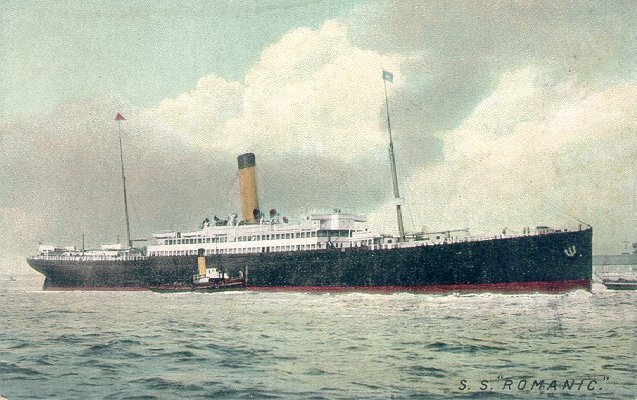 Scandinavian was scrapped in 1922. Sources: Haws' Merchant Fleets; Bonsor's North Atlantic Seaway; The Sunday Herald (Boston), 6 December 1903; Boston Daily Advertiser, 6 December 1903.